Neil experienced a brain aneurysm and stared death in the face. Released surprisingly soon afterwards, ‘Prairie Wind’ finds Neil looking backwards, looking inwards and doing so with a warmth and humanity. ‘Prairie Wind’ is an acoustic Neil album, coloured by subtle enough backing vocals in places, tasteful and effective pedal steel guitar and a gentle yet melodic rhythm section. The lyrics are strikingly simple, deliberately so perhaps because Neil surely wanted these tributes to his late father and stories for his friends and family to resist interpretation. Sometimes this approach fails, the cloying and annoyingly soppy lyrical tribute of ‘This Old Guitar’, which does contain some truly awful lines along the way. Mostly though, we’re sailing in clear blue water and the lyrics effectively do their job. So, facing mortality? Well, ‘When God Made Me’ and the lovely ‘Falling Off The Face Of The Earth’. Looking back at his roots, ‘Prairie Wind’. ‘It’s a long road behind me’, he sings, seemingly somewhat obviously on the albums opening cut, yet ‘The Painter’, with its restrained musical backing perfectly accompanying one of Neils warmer and most beautiful vocals for many a year, is a good way to introduce the album and its ideas. A short note, those who enjoy the noisier Neil Young and find it hard to stomach his softer records, you’ll probably want to give ‘Prairie Wind’ a miss. It’s sounds smooth, warm and inviting. It doesn’t ‘rock’, though. Doesn’t ‘rock’ at all apart from the superb near six minute wonder of, errr, ‘No Wonder’. It’s easy to imagine ‘No Wonder’ sitting easily in a Neil Young live set of any particular theme or style he wishes to present, bearing in mind his vast catalogue of songs. ‘Far From Home’ is also one of the, how can I put this, jauntier songs of the set, Neil delights with the piano, the harmonica see-saws and the songs got a groove. ‘Bury me out on the prairie’ sings Neil, again, looking back to his childhood and musing upon his ultimate fate. Back to the softer, dreamier tunes. ‘It’s A Dream’ is a poignant six a half minute tribute to his father, it would seem. Aching and lovely pedal steel, Neil reaching for his affecting falsetto, which is still there, more or less at least, forty years into his career. The Young falsetto also gets a workout during ‘Falling Off The Face Of The Earth’, another set of musings from Neil, yet with the simple backing, effective and addictive. I should also mention at this stage the strings that pop up here and there on the album. If you’ve read the reviews linking ‘Prairie Wind’ to the two ‘Harvest’ albums, this is the most obvious musical link for me. Otherwise the tunes on this album and their content don’t have a tremendous amount in common with ‘Harvest’, really. Lyrically ‘Prairie Wind’ certainly weaves a particular and focused picture, for example. Well, the Elvis tribute ‘He Was The King’ is corny I suppose, but funny with it and seems to be a heartfelt tribute. The closing ‘When God Made Me’ is a series of lyrical questions without answers. With gospel backing vocals, appropriately. The vocals are mournful, the piano beautifully picking out an easy melody. Neils voice holds ultimate sway, a capitvating presence going right through the song. It’s a fitting closer to a frequently lovely record, although the absence of another ‘No Wonder’ means ultimately ‘Prairie Wind’ does tend to be a little too smooth and downcast for it’s own good. Old age isn’t making Neil Young any easier to second guess, but the personal traumas of the last couple of years (death of his father and a brain aneurysm) certainly seem to have focussed the wayward canuck again. Whereas 2003’s Greendale gave us woolly polemic wrapped in dreary arrangements, Prairie Wind gives us sweet pedal steel-driven songs and the plush sheen of Nashville’s finest (Spooner Oldham, Ben Keith etc.) effectively completing his acoustic Harvest trilogy. It’s an album about looking back, coming to terms with mortality (“Falling Off The Face Of The Earth”,”When God Made Me”) and reflecting on childhood roots (“Prairie Wind”). While the arrangements often seem cloying, especially in the vocal accompaniment, the songs at least return to the simple acoustic heartland that lies at the centre of some of Young’s best work. They’re not unlike the rolling prairies he sings of. Thankfully, after ten years it sounds like Neil’s come home again. The gods are smiling upon me now. Neil Young’s lengthy sting of albums have been mind-numbingly unremarkable ever since 1996’s Mirrorball, and I’m thrilled to be listening to a Neil Young album that’s kind of awesome for a change. While I wouldn’t exactly call Prairie Wind remarkable, it’s at least a likable and breezy country album just like Harvest Moon. I don’t care what anyone else thinks; Harvest Moon is my second favorite Neil Young album, and I gladly welcome any clones of it. …And when I say “clone” I actually mean it: “This Old Guitar,” for instance, is the exact same song as “Harvest Moon.” Except that song ruled, and this song is boring. Well, not boring, but a little too uneventful for my taste. The important thing that set Harvest Moon apart from every other album in the world was its entrancing, haunting atmospheres. Unfortunately in the ’00s, Neil Young didn’t seem to be interested anymore in coming up with music that challenges our brains in any profound way. He pretty much spends this entire album muttering quietly over quieter instrumentation. Sometimes his melodies are interesting, or it has a nice, thoughtful slide guitar in the background or something. But, as a whole, I get bored over Prairie Wind. Now, this is a respectable album. All of his albums are respectable. Even the ones in the ’80s that seemed pretty stupid were respectable. But screw it. I’m tired of respecting Neil Young. Maybe I should trash this album. Just for kicks. …OK, now I feel bad for writing that; I just read that Neil Young experienced a pretty serious brain aneurysm before recording this album, and he’s reflecting on his life here. So, I’ll excuse him for an album or two of creating unremarkable music. But just so you know, you’re hanging by a thread, old buddy old pal! Actually, this is a pretty good album. Pretty, pretty, pretty good. The best he had done in awhile. Most of these songs are well orchestrated, and they are written with distinct verses and chorus sections. (He deserves kudos for bringing out a Vegasy horn section in “He Was the King.” That’s something fun and flashy that we don’t get from him too often.) As far as Neil Young songs have been going lately, this is a good thing! The album starts off with “The Painter,” which is a sweet and laid-back country ditty with an interesting melody and an engaging slide-guitar in the background. It’s very slow moving and boring, but I’m at least entranced enough by it to keep with it. “No Wonder” is even better since its atmosphere is more tense than most of the other songs on this album, and (whoah) it even has a pretty loud rhythm section! But the album’s slow-moving quality starts to get the better of me mid-way through. Specifically the six-and-a-half-minute piano ballad “The Dream” seems to go on forever without doing anything interesting. While the title track is a much more memorable song than that, at seven-and-a-half minutes it still seems to overstay its welcome. …At this point in his discography, I really shouldn’t act so surprised that a Neil Young album contains overlong, repetitive songs in it. But I’ve got to keep repeating this hang-up. This goes to show why I can never be a true fan of his. Even though I get weary of Neil Young’s muttered, castrated cowboy vocals, there is an unquestionable charm to it. He has a real knack of sounding absolutely sincere when he sings, which is a quality that comes off pretty damn well in this release. The lyrics throughout this album even seem pretty cliche compared to most of his stuff, but I’m actually able to get caught up in his words in spite of that. If Janet Jackson, for instance, were to sing the same lyrics, I might get a little agitated by the cliches. But Neil Young sounds like he’s speaking to me. When he talks about the long, winding road of life in “The Painter,” I genuinely want to reflect on my own long, winding life… That’s cool. 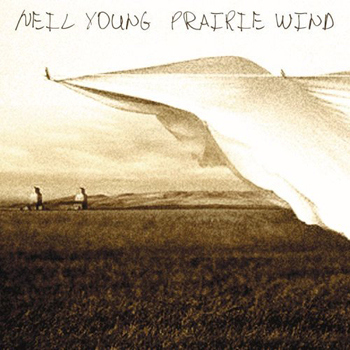 Naturally, Prairie Wind is a highly recommendable album to his longtime fans; it is practically impossible for a longtime Neil Young fan to be disappointed with one of his albums, and I’m sure they’ll love Prairie Wind bits. Even casual fans might enjoy this album, particularly those who enjoyed Harvest Moon so much that they would gladly take a pale imitator of it. So, go forth and listen to Prairie Wind all ye fans. Neil Young is one cool dude. In his 40 year career hes recorded maybe 30 albums with various bands and musicians such as Crazy Horse, Buffalo Springfield, Crosby, Stills, and Nash, and Pearl Jam to name a few. Hes gone through Genres such as folk, rock, and early grunge. Hes a praised songwriter and lyricist of Rock and Roll. And of coarse, hes Canadian. 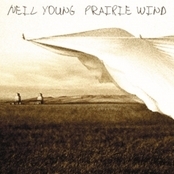 Prairie Wind is a good, relaxing Neil Young album and primarily acoustic. It has all of Neils excellent songwriting ability that you would expect from any of his other albums, packed into a relaxed, folk like CD with a short 10 songs, but still clocking at an average album time. Honestly, Im not a huge Neil Young fan, and this was my first Neil Young album that I bought. When I first heard this album, it was at the perfect time and place. When I first heard Prairie Wind, I was driving through Illinois, which happens to be known as The Prairie State. The relaxed mood of the album fit perfectly with my surroundings, which is why this album is so special to me. But enough of my ramblings, now for the review. Prairie Wind starts off with The Painter a slow, beautiful song with a nice slide guitar that fits well with the wonderful acoustic strumming and picking. The song is relaxed and sets the mood for the rest of the album. It has a great chorus with background vocalists singing If you follow every dream over Neil Youngs unique vocals. A great song and probably my favorite off the album. The next song No Wonder soon starts up. It is passionate and partly political. Its another great song and seems a bit more serious than The Painter. This is when the lyrical themes or concept starts. Neil Young sings of prairie wind and about other songs inspired by 911. Throughout the rest of the album, Neil brings up prairie wind, along with other words about growing up in Canada and his fathers recent death. Overall, another great song, but gets a little repetitive and long clocking at almost 6 minuets. As No Wonder” fades out, the next song, Falling off the Face of the Earth, starts. This song is a simple, slow, and quieter song. Its okay, but really its nothing special and not very unique. Now Far From Home begins. Its the first of two upbeat songs on the album and begins at full blast with horns, piano, harmonica, guitar and all. It reminds me a little of a Van Morrison song, but with Neils voice instead. The song talks about his home and childhood. It has a nice chorus in which Neil sings Bury me out on the prairie, where the buffalo used to roam. Its great, simple, and another one of my favorites. Next Its a Dream begins with a soft piano followed by Neil Youngs voice. Its a Dream is a slow, relaxing song. It is nice and beautiful and accompanied by what may be a full orchestra that fits nicely with the piano and vocals. Although the song is good, it seems to drag on and get repetitive. Also, it is very long and sometimes boring which may be assumed because of the fact that its over 6 minuets long. Although it is long, Its a Dream is still a beautiful song that shows Neils great lyrical ability. Prairie Wind starts with a very different attitude then the previous song. It begins with an almost bluesy or funky acoustic riff followed by horns and harmonica. Neil Young come in with a passionate voice singing Trying to remember what my daddy said, before too much time took away his head. And some more lyrics. Then female background singers sing Prairie wind going through my head The song continues on with the same riff, horns, and harmonicas with Neils driving voice and background singers for a long, almost 8 minuets. Though it is long and repetitive, this song is very good and entertaining despite its length. After Prairie Wind ends Here for You starts up. Its an average song and nothing special. It starts with a relaxing harmonica and guitar. This song is fine, but pretty plain and simple. Good, but diffidently not a highlight. Next comes Old Guitar which is quite literally about his old guitar. The lyrics are very specific and unmetaphoric. Old Guitar is a soft song and is primarily just Neil Young playing his guitar with very little of any other instruments. Overall, its not a very good song especially because it is also long and repetitive. After that snooze, He was the King begins. He was the King is the second upbeat song and has a little bit of a country feel to it. The song is about no other than the Rock and Roll king himself, Elvis Presley. It has some nice horn and harmonica playing that seems to pop in and out repetitively throughout it. Its a fun song and pretty good. Its long, but one of the better songs on the album. After He was the King, When God Made Me begins with a soft piano playing simple chords. Neil Youngs soft voice sings about god and what he might have been thing thinking when he created humans. Soon a choir that sounds like its from a church sings the chorus with Neil. This song is beautiful but a little boring. So there you have it. Neil Youngs Prairie Wind. Its a good, relaxing album, but not anything too out of the ordinary or unique. Also, the songs can be long or boring. I would recommend this album to any big Neil Young fan or someone who likes any of Neil Youngs previous works such as Harvest or Harvest Moon. But for the average music lover, you should probably go with another Neil Young album before this one, unless, of course, youre driving through the Prairie State itself. Neil Young is easily the most vital rock star of his generation, but that doesn’t mean he can’t fall into a rut. Young continues to take chances with his albums—writing ambitious multi-song narratives, hiring veteran session men and fledgling alt-rockers, turning records into movies, and so on—but his style remains stuck in the same dichotomous mode it’s been in since 1970: He either plays loud and droning, or soft and melodic. Prairie Wind falls into the latter camp, which is good news for Young fans, since his gifts have mellowed greatly over the last decade. The noisy Young tends to be kind of dull these days, while the gentle Young creates beautiful things almost in spite of himself. Case in point: Prairie Wind’s opening song, “The Painter.” It’s a fairly conventional, semi-corny character sketch about a lady artist following her dreams, even as they lead her away from her loved ones. If Young’s pre-album interviews can be believed, this song—like a lot of the songs on Prairie Wind—is about his awareness of his own mortality. Young had surgery to remove a brain aneurysm during the writing and recording of this disc, and that incident is reflected in the mood of the music, which sounds simultaneously autumnal and climactic. But what really matters is that “The Painter” is a lovely little song, carried by relaxed acoustic picking and a doleful slide guitar floating through the background. Prairie Wind is full of groaner lyrics about environmental irresponsibility, 9/11, family ties, and Elvis Presley (“The last time I saw Elvis, he was shootin’ at a color TV”), but even lilting instrumentation strengthens even the weakest lines. Young’s tendency toward sprawl pushes some of these tracks past the six-minute mark, but these aren’t the thudding jams that have weighed down much of his recent Crazy Horse material. These songs are more unhurried than stunted. And when Young tightens up some, as on the romantic country ballad “Here For You” and the hushed “This Old Guitar,” the muted browns that dominate the album deepen into rich, spectacular oranges and reds. Rock’n’roll is starting to show its age. Elvis is long gone, only two of the Beatles are still alive, those at the forefront of the ’60s “Golden Age” aren’t far from receiving a free bus pass and pension book. How does a youthful medium, fixated on teenage dreams and the myth of dying young, deal with the onset of illness and those long suppressed feelings of mortality? Liam Gallagher may still believe that he is going to live forever but those feelings of hubris have long been extinguished in the battle scarred veterans of the 1960s. Lately, Neil Young has had personal reasons to contemplate his place in the grand scheme of things. Earlier this year he was diagnosed with a brain aneurysm (but has since been given a clean bill of health), and he also lost his father. Fighting fit he may now be, but the gentle taping of the Grim Reaper’s scythe echoes throughout Prairie Wind. From the opening finger picked guitar that ushers in Painter it’s clear that Young is in a reflective state of mind. When he hits the beautiful high notes singing “it’s a long road behind me, it’s a long road ahead” and the harmonies unfurl around an aching pedal steel it’s enough to melt you heart. The pedal steel guitar playing on the whole record is breath taking. It surfaces again on Here For You and the broken lament of Falling off The Face of the Earth. The texture, the pure ache, adds a timeless feel to the material. It dips them in sliver plated melancholia and wraps them tightly in a warm embrace. The heavy trademark guitars that Young does so well arrive on the corrosive No Wonder. He has the talent of King Midas in reverse; taking golden melodies and then tarnishing them in thick charcoal angst. This is a complement. Few have the balls to wreck a melody the way Neil Young does. It starts so gently, a fragile guitar figure, fresh as a spring morning flickers softly through the verse, then down swoops the power chords, spinning blasts of noise across the song. The added bite is unleashed through the dual pronged attack of acoustic and electric guitars. The solo at the end sounds like the gates of heaven swinging on rusty hinges. The lyric centres on the refrain “tick-tock, the clock on the wall, no wonder we’re losing time”. The changing instrumentation reflects this, its equal measures regret and anger. The ghost of the late great Jack Nitzsche is evoked on It’s A Dream. The string-drenched ennui and plaintive piano recall the arrangements that he scored for Young on the classics After The Gold Rush and Harvest. The strings slowly climb, never overpowering the vocals, the melody spun like a spider web in the rain, its delicate nature glistening on each successive listen. The lyrics keep returning to family, friends and the very nature of existence. He mourns his father on the title track, the opening couplet “Trying to remember what my Daddy said, before too much time took away his head…” summing up the mood of reflection. Young uses his guitar like a hammer, adding a thump to proceedings. The vocals are again a thing of wonder, the chorus with its choir of female voices and soulful brass pitch the song into the realms of a classic. The closing track is pure Neil Young magic. The hymnal piano and gospel styling recall the title track from After the Gold Rush. Where Young once agonised over environmental issues he now addresses his own fate. It’s a set of questions to God, an attempt to place himself within this world and the next. Naked and honest, not bleak, simply uplifting. Prairie Wind clearly indicates that Neil Young is far from a spent force. The brush with death has refocused his muse. The fire is far from out. The Godfather of grunge is back on the throne. Long may he reign.